Megan Boone: Born April 29, 1983 is an American actress. 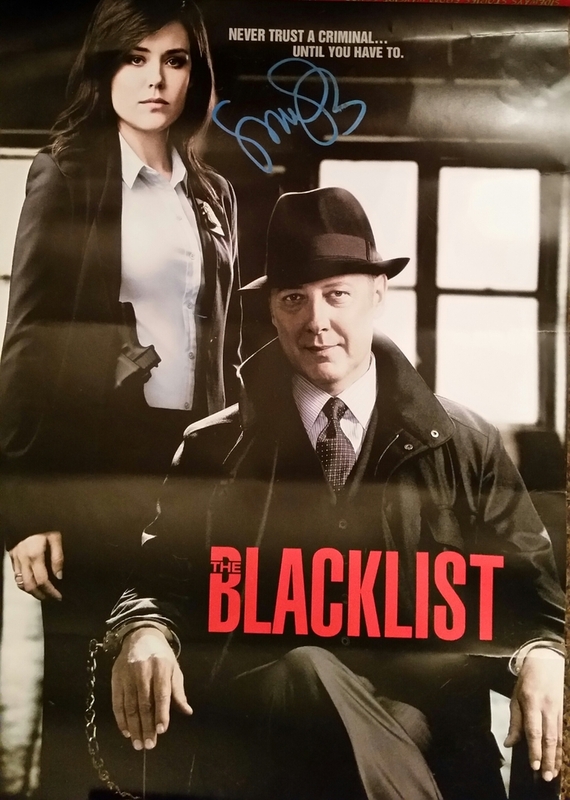 She is best known for her role as former FBI agent/profiler-turned blacksite consultant Elizabeth Keen on the NBC drama series The Blacklist. Sent LOR and SASE on February 13th, 2015. On April 16th, 2016 I received this 9 x 12 autographed poster. I could’t be more excited. This is awesome!!! I never expected to get a response. This has been the longest wait so far but well worth it… Thank you Megan. I was shocked when they killed of Agent Keen.. I still think that somehow she will come back.